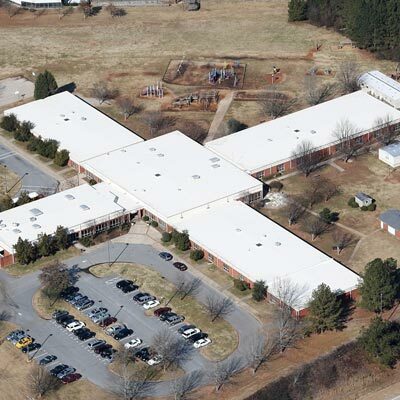 With more than 25 years of experience in commercial roofing, B&L General Contractors is your trusted source for quality roofing in Atlanta, GA. Our highly trained and experienced team of installers has completed commercial roofing projects for more than 50 Atlanta-area businesses such as Chick-Fil-A, Blue Bird and Georgia Power. We provide quality services in roofing installation, roof maintenance and roof repair. If you think your building is suffering from a faulty roof we can thoroughly inspect it and provide you with an accurate recommendation of all needed repairs. We will work with your budget and within your time frame to adjust our high-quality services to fit your commercial roofing needs. Don't trust an amateur with your business; leave it to the professionals at B&L General Contractors where commercial roofing is our expertise. Contact us today to schedule your free roofing inspection or to learn more about our other roofing services in Georgia.